This one really got to me. Being a fan of New Japan Pro Wrestling I am obviously a fan of the notorious Bullet Club. For anyone who doesn't know what the Bullet Club is, firstly, go and watch their stuff and secondly, it's along the lines of a modern day mesh of D-Generation-X and the nWo. In Luke (formerly Doc) Gallows and Karl Anderson WWE have one of the most successful tag teams in recent Japanese wrestling history. They also have AJ Styles and Finn Balor (Prince Devitt in Japan). Both of these men have been leaders of the Bullet Club. With these four men WWE have the chance to create a dominating faction that could run rampant over the company. They would destroy anything in their path and could even rival the accomplishments of The Shield. But this is WWE and that's obviously not going to happen. Since making their in-ring debut on RAW on April 25th, Anderson and Gallows have won two matches. One of those matches was on Main Event. Last night they were pinned by The Usos. Two men who generate very little reaction from the crowd and gain nothing from beating Gallows and Anderson. Coming into WWE new guys need wins, as much as Road Dogg would have you believe otherwise. If a team isn't winning how does anyone who is not familair with them supposed to view them as a threat? 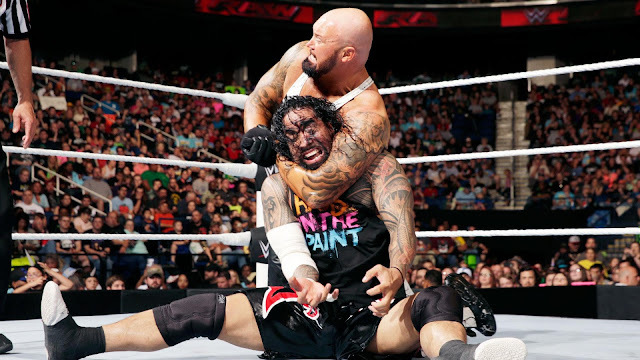 People know who The Usos are and had they lost this match nothing really would've happened. Gallows and Anderson on the other hand are new, people need a reason to cheer (or boo) them. Having them take a pinfall to The Usos of all people makes them look extremely weak. Ratings are down right now in WWE. They need something big to make people regain interest in the show. Once they see that they will see some of the other interesting programming going on and people will make their way back to watching RAW. The Bullet Club in WWE could've been that but yet again WWE are trying to sacrifice it in favour of getting Roman Reigns over as WWE champion. Fair play to WWE for putting their women at the end of the show to make it seem more important. Unfortunately It didn't work. While Charlotte was very good during this segment, Natalya lagged behind a bit, probably due to the fact she's not used to being in this situation. This segment could've been golden but people just aren't invested enough and this feud isn't really hot enough to justify the show closing spot. What didn't help was that this just felt like an excuse to get Shane and Stephanie out there to do their weekly segment. What is the end game with Golden Truth? 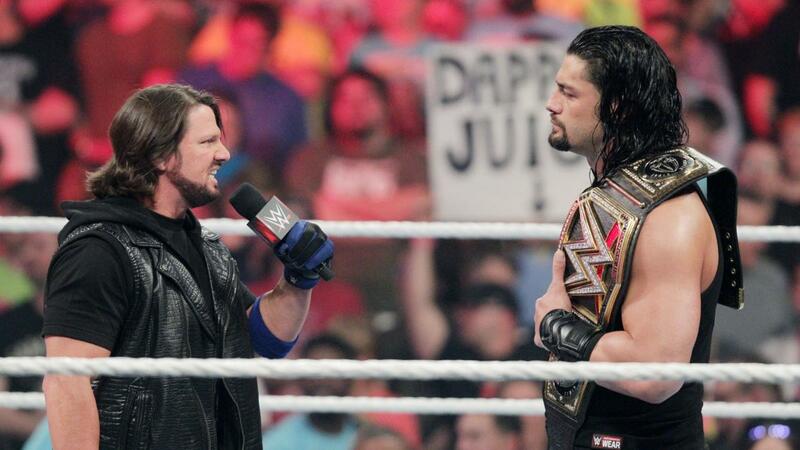 So finally after five months we saw Golden Truth wrestle their first match together on RAW last night and they lost. Yup. They lost. And, yes you read that right, WWE have invested five months into this. Instead of pushing this angle that very few people are interested in, WWE could have instead used that time to push a younger talent into that spot. This feud feels like WWE sacrificing long term stability for short term success only that the short term is not successful at all. After weeks of Vignettes The Shining Stars finally made their re-debut on RAW and you could hear a pin drop on a cricket in a puddle of water. Absolutely nobody was interested. The gimmick is already awful. Even in the lead up people were criticising it. WWE have a huge job on their hands to get people to become interested in this. The worst part is that Primo and Epico are actually talented between the ropes and they even showed glimpses of that last night. A Ring of Honor reunion? Chris Jericho will face Dean Ambrose in an 'Asylum' match. It's basically a Cage match with really ridiculous weapons included. No, seriously, there's a mop and bucket involved. Sasha Banks wasn't on TV again. —The most popular woman and one of the most popular people in the company wasn't on TV again. Dana Brooke may struggle by herself on the main roster. She could be sent back to NXT right now and no one would notice. The Vaudevillians looked good going into Extreme Rules but does anyone really believe they'll beat New Day? Rusev looked incredible. He looked more like a champion in one night than Kalisto has during his entire reign. WWE called the team of Tyler Breeze and Fandango, "Breezango". They missed a beat not calling them FaBreeze. 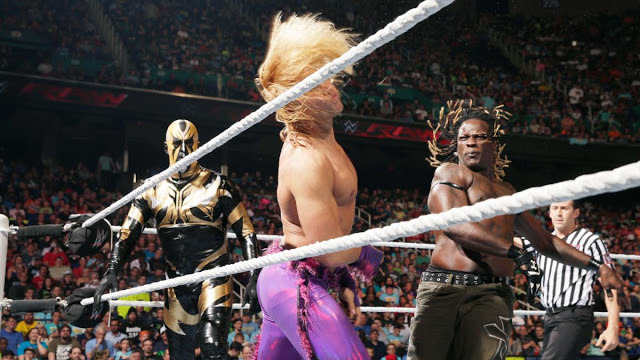 Breakdown, analysis, review and talking points from WWE RAW in Greensboro on May 16 2016.